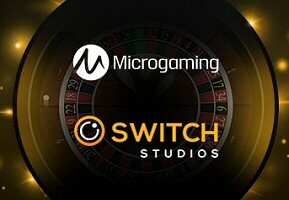 Finally, Microgaming’s new Roulette game by Switch Studios debuts at online casinos. Leonardo da Vinci once said, “Simplicity is the ultimate sophistication”. This is the exact impression manifest by the new Microgaming Roulette game that went live at online casinos last week. Developed by Switch Studios, it’s crystal clear that their vision was to create something fresh, clean, and aesthetically appealing, but above all, simple. Even the name exudes incomplexity. A single word – Roulette. It is not defined by a region, although its rules and wheel exhibit the popular styling of the classic European variation. Its entertainment value is not accentuated by exhaustive adjectives (i.e. VIP, Premier, Gold Series, etc.) It is what it is. It is Roulette. And it is a thing of digitized beauty! How is Microgaming’s newest edition of Roulette any different from its original European Roulette games? In many ways, it is the same. The rules have not been altered. There are no special side bets, beyond the common Tiers du Cylindre, Orphelines, and Voisins du Zero, often found on both European and French roulette games. The house edge remains an equable 2.7%. And yet, the overall experience is, in my opinion, far superior to any previous digitized release of the game. Switch Studios has maintained a sharp yet traditional appearance for its roulette game during the placement of bets. A soothing green felt is the backdrop of the entire table, with numbers displayed in their respective Black or Red impression. The issuance of bets is straight forward, providing players with a clean, unambiguous interface. Once bets are placed and the wheel is spun, a smooth animation brings the wheel into greater HD-quality focus, while sliding the table into a smaller field of vision. The game’s creators chose to diversify the color scheme of the table’s betting diagram to a stark black background that emphasizes not the colors behind the numbers, but the numbers themselves. Black numbers appear in grey print, and Red numbers in stark scarlet. The wheel, now taking up the majority of the viewing window, is endowed with supremely realistic 3D details that immerse players into the experience. 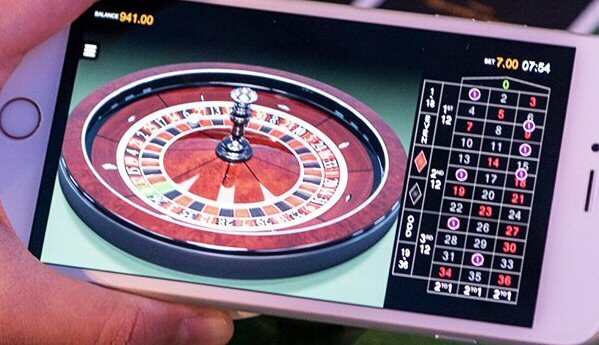 Microgaming shows off the mesmerizing quality of this new game in a YouTube video published on March 27, 2019; the same day Roulette was launched exclusively at Microgaming online casinos. Some of the design’s more impressive features include traditional and racetrack style betting, portrait and landscape orientation, the ability to save and re-bet favorites, and a comprehensive history of spin results and other game play stats. All together, Switch Studio’s design gives the game a refreshing makeover that’s been lacking since the dawn of Microgaming online casinos more than two decades ago. Modernization is further underscored by the optimization of the new Microgaming Roulette game for all major computer and mobile operating systems. David Reynolds, Games Publisher for the Isle of Man-based software giant, has seen countless new game titles cross his desk over the years. It takes a lot to impress him – especially when it comes to the internet casino industry’s most generic genre of gambling – table games. He, however, was beyond delighted with the “innovation and style” Switch Studio’s creative team is bringing “to the online table gaming sector”. Tom David, Head of Studio for the create behind behind the new casino game, expressed his company’s enthusiasm over the launch of their first title on the Quickfire platform.